Nazi troops invaded Poland on September 1, 1939, despite the best efforts of Captain Witold Pilecki and his fellow Polish soldiers. On November 9th of that same year, Witold and Major Wlodarkiewicz founded the Tajna Armia Polska (TAP or Polish Secret Army), an underground organization that eventually became consolidated with other resistance forces into The Home Army. Not long after the formation of organized widespread Polish Resistance, its members began hearing reports of the conditions within the newly constructed Auschwitz Concentration Camp put into operation in the Spring of 1940. Those first reports originated with prisoners released from the camp and from civilians such as railroad employees and local residents. In order to cut through the very troubling rumors and figure out exactly what was going on there, Pilecki came up with a bold plan- become a prisoner at Auschwitz. With a little convincing, his superiors eventually agreed to allow him to go. In order to help protect his wife and children after he was captured, he took on the alias Tomasz Serafinski, much to the chagrin of the real Tomasz Serafinski who was thought to be dead at the time (hence why his papers and identity were chosen), but was not. Later, the real Tomasz had some trouble because of Pilecki using his papers and name (more on this in the Bonus Facts below). According to Eleonora Ostrowska, owner of an apartment Pilecki was at when he was taken, when a Nazi roundup began (lapanka, where a city block would suddenly be closed off and most of the civilians inside would be rounded up and sent to slave labor camps and sometimes even just mass-executed on the spot), a member of the resistance came to help Pilecki hide. Instead, Ostrowska said “Witold rejected those opportunities and didn’t even try to hide in my flat.” She reported that soon, a German soldier knocked at the door and Pilecki whispered to her “Report that I have fulfilled the order,” and then opened the door and was taken by the soldier along with about 2,000 other Poles in Warsaw on September 19, 1940. We were struck over the head not only by SS rifle butts, but by something far greater. Our concepts of law and order and of what was normal, all those ideas to which we had become accustomed on this Earth, were given a brutal kicking. Assessing the conditions inside Auschwitz was only part of Pilecki’s mission. He also took on responsibility for organizing a resistance force within the camp, the Zwiazek Organizacji Wojskowej (ZOW). The goals of ZOW included- improving inmate morale, distributing any extra food and clothing, setting up an intelligence network within the camp, training prisoners to eventually rise up against their guards and liberate Auschwitz, and getting news in and out of Auschwitz. Ensuring secrecy of the ZOW led Pilecki to create cells within the organization. He trusted the leaders of each cell to withstand interrogation by the guards, but even so each leader only knew the names of the handful of people under his command. This limited the risk to the entire organization should an informant tip off a guard or if a member was caught. Pilecki’s first reports to the Polish government and Allied forces left the camp with released prisoners. But when releases became less common, passing reports on to the outside world depended largely on the success of prisoner escapes, such as one that occurred on June 20, 1942 where four Poles managed to dress up as members of the SS, weapons and all, and steal an SS car which they boldly drove out of the main gate of the camp. A cobbled-together radio, built over the course of seven months as parts could be acquired, was used for a while in 1942 to transmit reports until “one of our fellow’s big mouth” resulted in the Nazis learning of the radio, forcing the group to dismantle it before they were caught red handed and executed. Significant doubt surrounding the accuracy of his reports meant Pilecki’s plan to bring about an uprising inside Auschwitz never came to fruition. Pilecki had managed to convince his network of resistance fighters inside the camp that they could successfully take control for a short while and escape if the Allies and Polish Underground provided support. He had envisioned airdrops of weapons and possibly even Allied soldiers invading the camp. However, the Allies never had any intention of such an operation and the local Polish resistance in Warsaw refused to attack due to the large number of German troops stationed nearby. The Nazi guards began systematically eliminating members of the ZOW resistance in 1943 and so, with his reports being ignored, Pilecki decided he needed to plead his case in person for intervention in Auschwitz. It should be noted that anyone caught helping an Auschwitz escapee would be killed along with the escaped prisoner, something the local populace knew well. Further, the 40 square kilometers around Auschwitz were extremely heavily patrolled and the escapees’ shaved heads, tattered clothes, and gaunt appearance would give them away in a second to anyone who saw them. Despite this, all three not only survived the initial escape, but managed to get to safety without being recaptured. After this, Pilecki continued to fight for the Home Army, as well as trying to aid ZOW in any way he could from the outside. He also played a role in the Warsaw Uprising that began in August of 1944, during which he was captured by German troops in October of that year and spent the rest of World War II as a POW. Pilecki wrote his final version of his report on Auschwitz (later published in a book titled: The Auschwitz Volunteer: Beyond Bravery) after the war while spending time in Italy under the 2nd Polish Corps before being ordered back to Poland by General Wladyslaw Anders to gather intelligence on communist activities in Poland. You see, the invading Germans had been replaced by another occupying power- the Soviet backed Polish Committee of National Liberation. This was a puppet provisional government setup on July 22, 1944 in opposition to the Polish Government in Exile, the latter of which was supported by the majority of Polish people and the West. During his two years at this post, he managed to, among many other things, gather documented proof that the voting results of the People’s Referendum of 1946 were heavily falsified by the communists. Unfortunately, there was little the Polish Government in Exile could do. Even when his cover was blown in July of 1946, Pilecki soldiered on and refused to leave the country, continuing his work collecting documented evidence of the many atrocities against the Polish people being committed by the Soviets and their puppet government in Poland. Finally, he was given a show trial. When fellow survivors of Auschwitz pled with then Prime Minister of Poland, Józef Cyrankiewicz (himself a survivor of Auschwitz and member of a resistance in the prison), for the release of Pilecki, instead he went the other way and wrote to the judge, telling him to throw out record of Pilecki’s time as a prisoner in Auschwitz. This was a key piece of evidence in Pilecki’s favor given one of the things he was being accused of was being a German collaborator during the war. And so it was that as part of a crackdown by the new Polish government against former members of the Home Army resistance, Pilecki was convicted of being a German collaborator and a spy for the West, among many other charges, ultimately sentenced to death via a gunshot to his head. The sentence was carried out on May 25, 1948 by Sergeant Piotr Smietanski, “The Butcher of Mokotow Prison.” From then on, mention of Pilecki’s name and numerous heroic acts were censored in Poland, something that wasn’t changed until 1989 when the communist Polish government was overthrown. 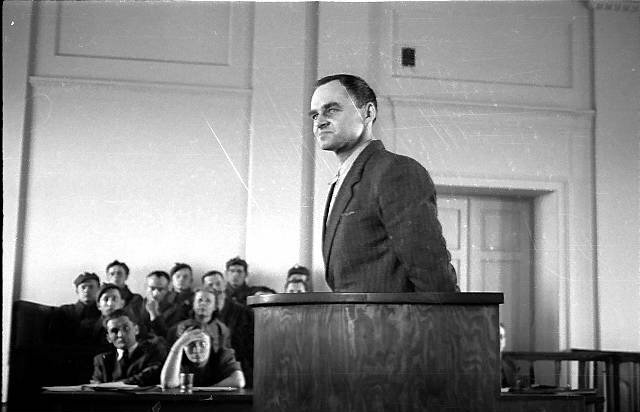 In the early 2000s, certain surviving officials who were involved in Pilecki’s trial, including the prosecutor, Czeslaw Lapinski, were put up on charges for being accomplices in the murder of Witold Pilecki. 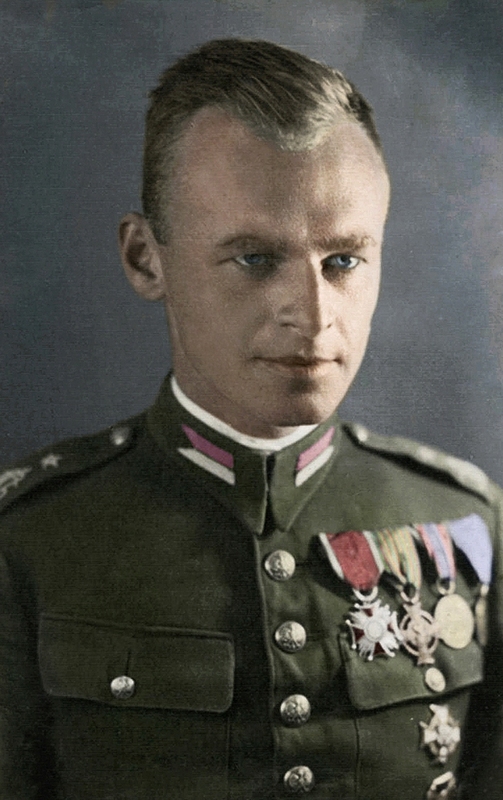 Pilecki also fought in WWI in the then newly formed Polish army. After that, he fought in the Polish-Soviet War (1919-1921). At one point while within Auschwitz, Pilecki and his fellow ZOW members managed to cultivate typhus and infect various SS-personnel. 1. All told, it is estimated that somewhere between 1 and 1.5 million people were killed at the camp. 2. In toto, it is estimated that somewhere between 1 and 1.5 million people were killed at the camp. 3. In all, it is estimated that somewhere between 1 and 1.5 million people were killed at the camp. 4. It is estimated that a total of somewhere between 1 and 1.5 million people were killed at the camp. 5. It is estimated that somewhere between 1 and 1.5 million people were killed at the camp. ~~~ A. Option #5 does not use ANY phrase to replace “all total,” because the idea of a “total” is already implied by the context of the sentence within the article. Many readers (and teachers of composition) consider it better to omit unnecessary words. ~~~ B. In the original, one can see the phrase, “between 1 to 1.5.” In each alternative, above, I replaced the incorrect word, “to,” with the correct word, “and.” I have been seeing and hearing this error (the use of “between … to”) more and more often during the last decade. The proper conjunction to use after “between” is “and,” not “to.” No one ever says, “I will return between June TO September;” everyone always says, “I will return between June AND September.” When referring to numbers or amounts, however, people are sometimes accidentally mixing together the constructions, “between … and,” and, “from … to,” combining the first half of one with the second half of the other. We should all avoid making this error in speech and in composition. ~~~ or (2) the phrase can be replaced by something more elegant (such as “however,” “nevertheless,” “still,” “nonetheless,” “despite this,” or “even so”) to indicate that you are about to make a contrasting point or mention an exception. Thank you for this opportunity to offer corrections and give advice. A grammar Nazi replying to grammar errors in an article about Nazi concentration camps. How droll. What a stupid comment. His point was well made and extensively explained. Wish we had more of his kind and less of yours on the internet. It’s pretty amazing that you don’t make one single reference to the victims of Auschwitz being vastly and overwhelmingly Jewish. You make not a single reference to the context of the Holocaust and the German plan to murder every single Jewish man, woman, and child in Poland, in all of Europe, and in fact in every place in the world. The article is a kind of Holocaust denial. It doesn’t deny that the murders happened, but it does deny by omission that they were Jews. Balderdash. The article was about a Polish man. As our composition teacher above pointed out, unnecessary words should be omitted. Let me add, words off topic should also be omitted. The Holocaust was horrendous, but let’s not see denial where it’s not. There’s enough ignorant people out there who are, in fact, denying the holocaust. Save your ire for them. This piece is simply more of the hate propaganda known as the Hoax of the 20th Century, as a book by Northwestern University professor is titled. There were no homicidal gas chambers at Auschwitz 1 (main camp) or Auschwitz 2 (Birkenau). Anyone interested in the reality of the issue should spend some time at CODOH (Committee for Open Debate of the Holocaust). ScotOwen, here’s a good example of Holocaust denial. If these comments are moderated, I’d like to see this one removed. Since I’m here commenting I’d like to say I love this site, keep up the good work!